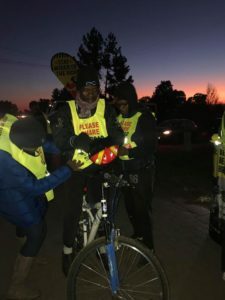 The Stay Wider of the Rider team visited JHB last week where we joined the RAF as well as Lions Pretoria South and the Legidima Cycle Club for two fantastic bib handouts. 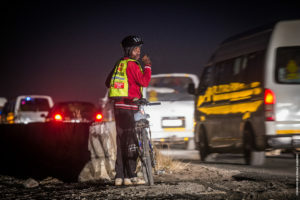 The first one was hosted in the Zandspruit informal settlement on Beyers Naude Drive. Here we handed out close to 200 reflective bibs as well as some helmets and lights to make the commuting cyclists more visible on the road. 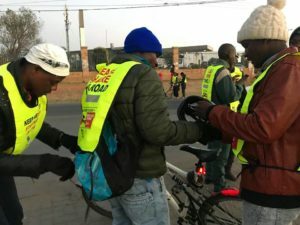 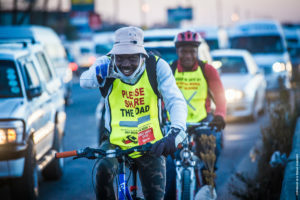 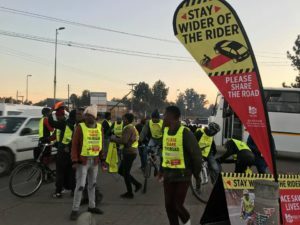 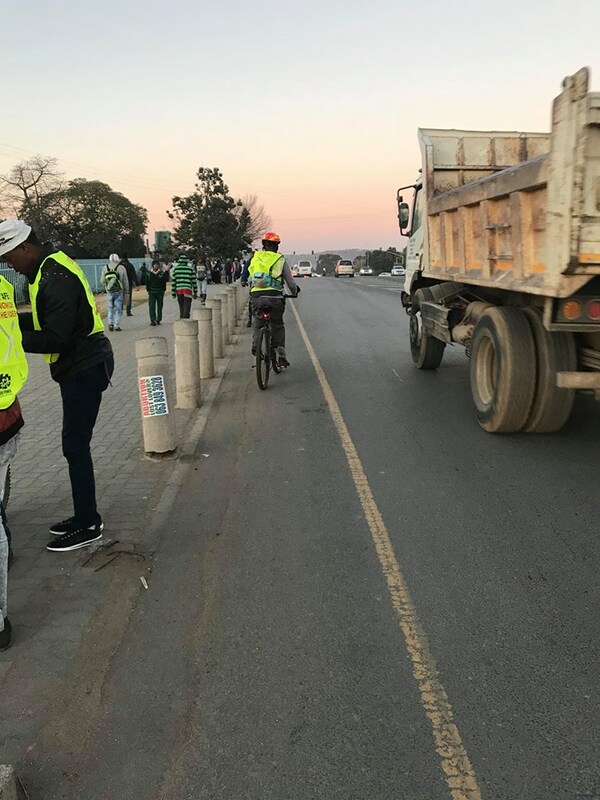 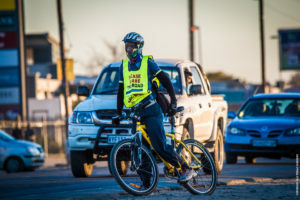 The following day we hosted a handout in the Diepsloot area with the same partners were handed out 300 bibs as well as some helmets and lights to the commuters. 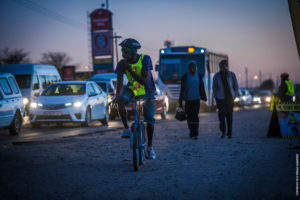 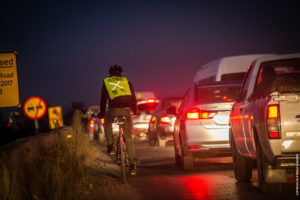 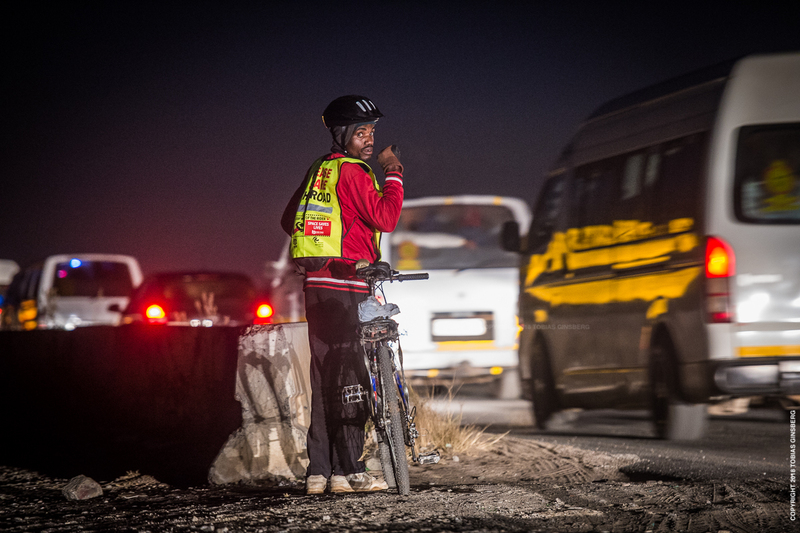 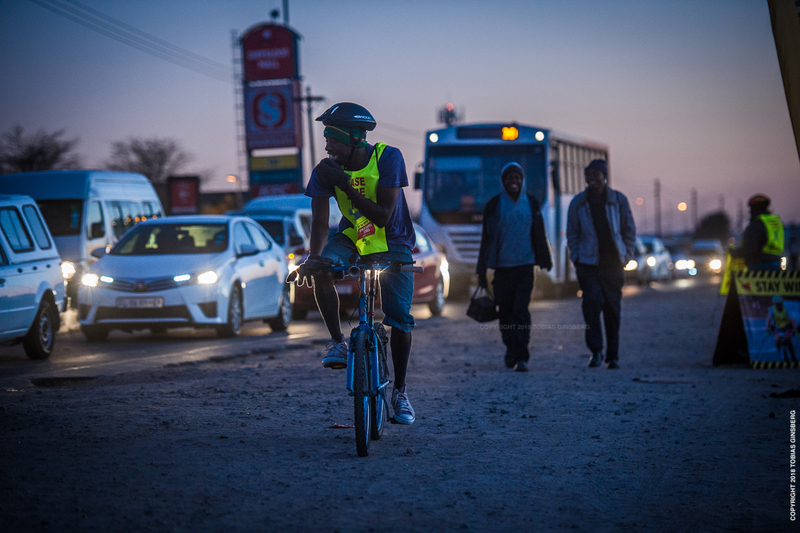 The commuter cyclists in the area leave home in pitch dark conditions to get to work some as far as 60km away.